To accompany the update, Porsche also provided the above-featured video. Clocking in at just under a minute in length, the video features long shots of the Porsche Taycan testing in a variety of harsh environments, including sandy deserts and snowy forests. 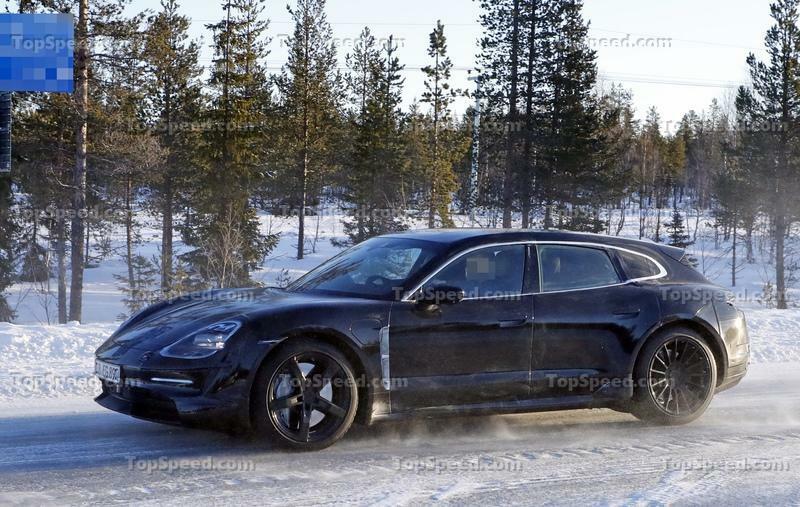 Throughout the video, the Taycan is featured in a camo-clad body, which makes it a little difficult to parse out what the final design will be. However, we still get a good idea of how the Taycan will look when cruising, or when it’s spinning its tires and getting sideways. Porsche says the Taycan’s test program has spanned some 30 countries to help the company iron out any lingering issues. Indeed, pitting the Taycan against a variety of ambient temperatures and environmental factors is particularly important for this model, as both can dramatically affect the performance of the Taycan’s battery performance, both in terms of on-road driving and during stints at the plug. 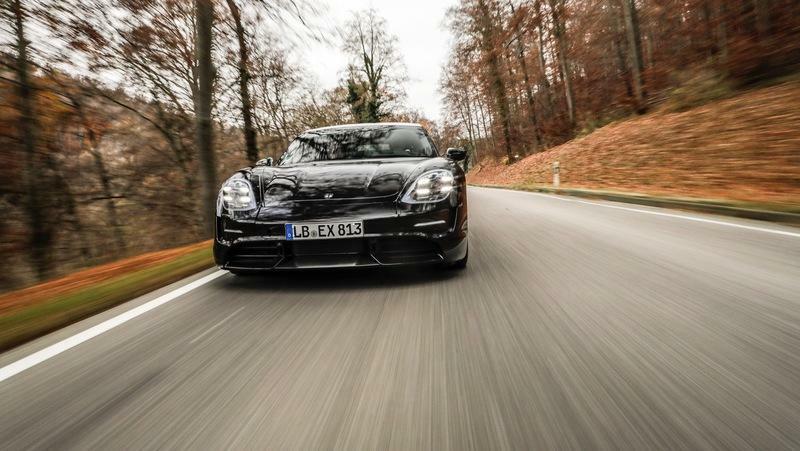 According to the attached press release, the Taycan was tested on the Nürburgring using in-depth digital simulations, which helped Porsche refine the Taycan’s body design, powertrain, chassis, and electronics. 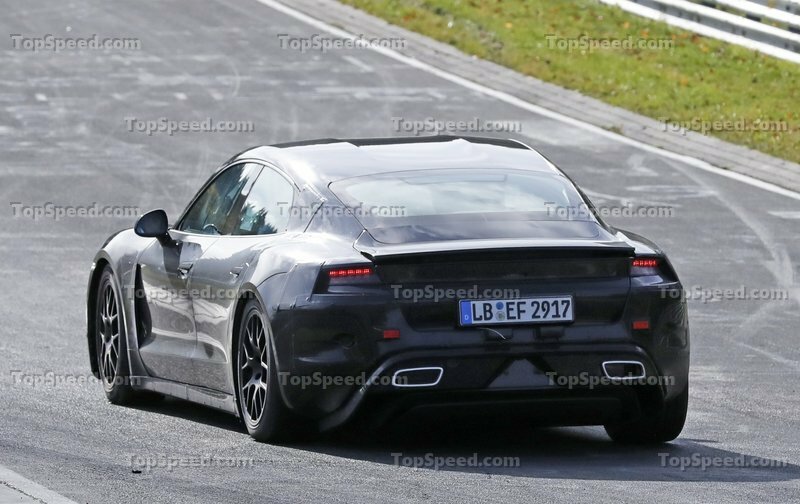 What’s more, we’ve spied Porsche running real Taycan test mules at the actual Nürburgring in the past. 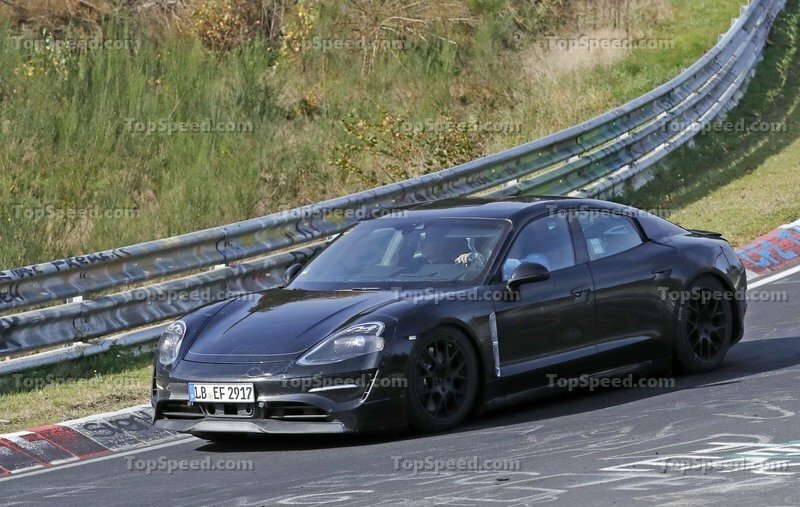 Apparently, Porsche is shooting for a sub-eight-minute lap time with its first EV sedan, which places it in the same ranks as the Nissan GT-R, BMW F10 M5 Competition, 997 Porsche 911 Turbo, and Mercedes-Benz E63 AMG S 4Matic. And that’s definitely some quick company, especially for a heavy all-electric four-door luxury car. 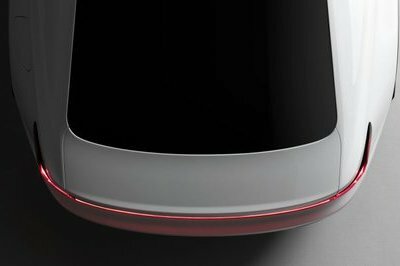 To help it achieve such an impressive ‘Ring time, the 2020 Porsche Taycan is expected to dole out more than 600 horsepower in its range-topping “Turbo” trim, while lower trims will make around 500 horsepower. It’s also rumored that an entry-level model will drop on an unspecified date after the range-topper with 400 horsepower under the hood. Properly motivated, the Taycan should hit 62 mph in “significantly less than” 3.5 seconds. 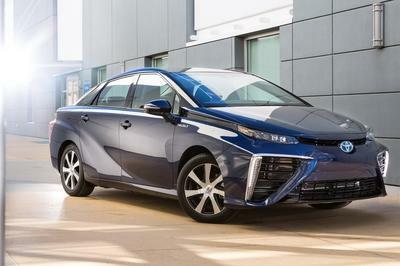 Range-per-charge will be about 311 miles in the NDEC test, and an 800-volt architecture and lithium-ion battery pack will provide the juice. Apparently, this setup will also accumulate some 62 miles of range in four minutes. Meanwhile, Tesla’s current Supercharger network can provide 170 miles in 30 minutes, or about 23 miles in four minutes. 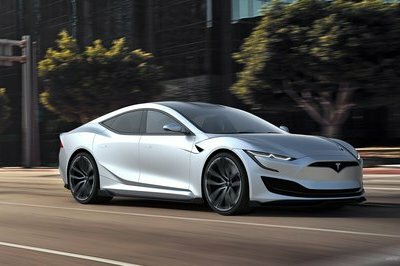 Tesla also promises to roll out the next upgrade for its charger systems this year, which can charge at 1,000 miles per hour, which divides into 66 miles in four minutes - about on par with Porsche’s claimed charge times. Of course, Tesla also has a rather extensive network of Superchargers, with some 1,441 stations and 12,888 plugs spread across North America, Asia, Europe, and the Middle East. With that in mind, we’ll have to see how Porsche plans on one-upping the California brand when it comes to recharging convenience. For now, Tesla seems to have the advantage on that front, which is hugely important in this segment. 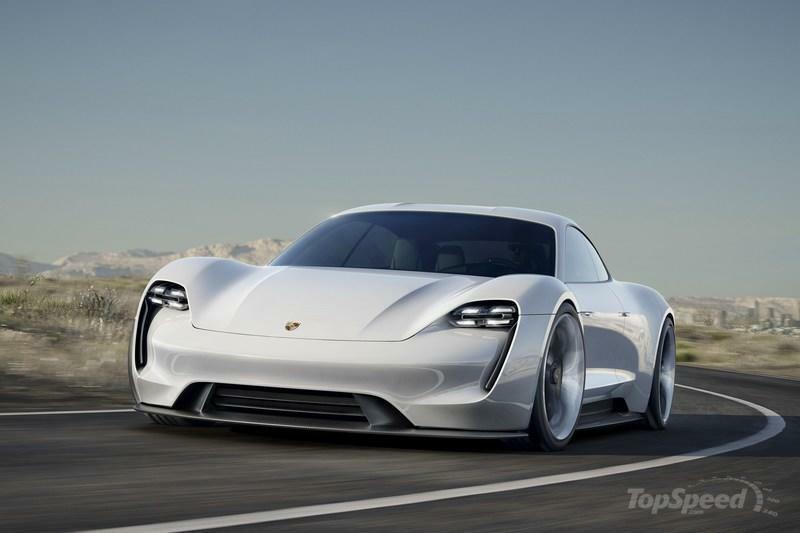 On the other hand, Porsche will likely be the go-to if handling performance is what you want from your EV. The company has all kinds of tech to make their vehicles carve corners like they’re on rails. 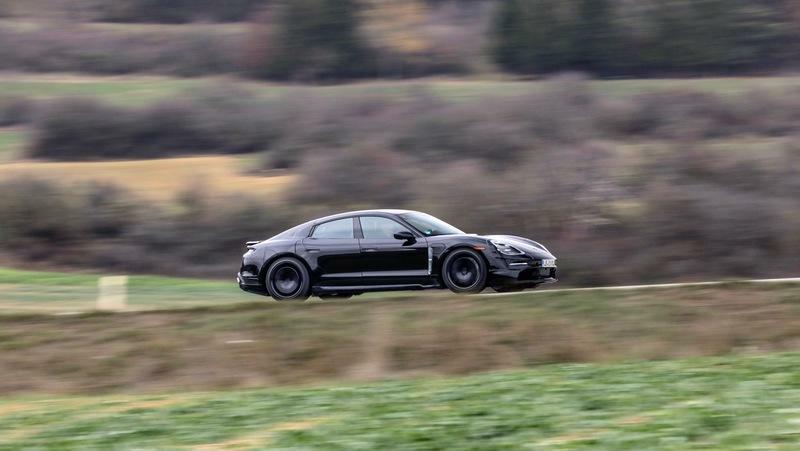 Granted, the Taycan is expected to be quite heavy, tipping the scales at a little under 5,000 pounds, but even so, most EVs are pavement-pounding heavyweights, and Porsche has plenty of experience managing excess heft. The Panamera and Cayenne are two good examples of that. 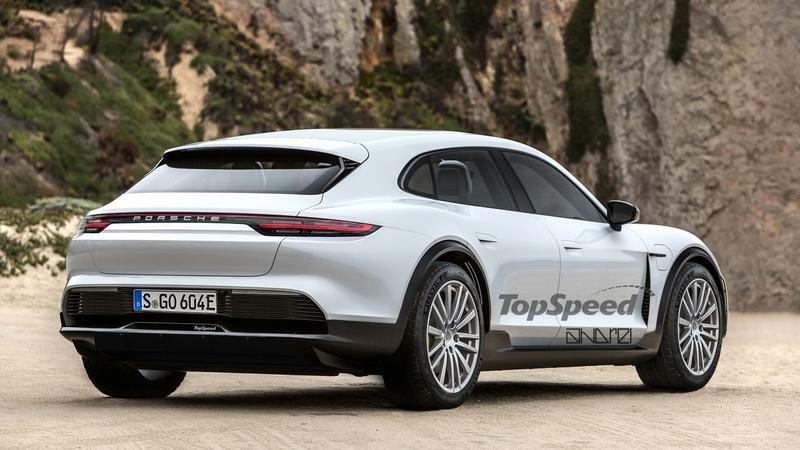 Note: 2020 Porsche Taycan CUV rendering pictured here. 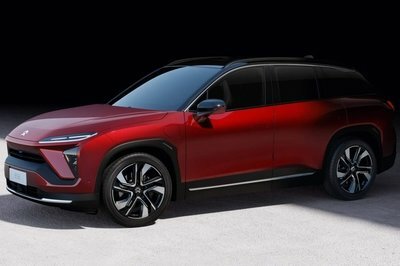 Regardless, the Taycan will have a number of follow-up models, including a go-faster Taycan GTS model, a wagonized Taycan Sport Turismo, and everyone’s favorite, a Taycan compact utility vehicle (CUV). 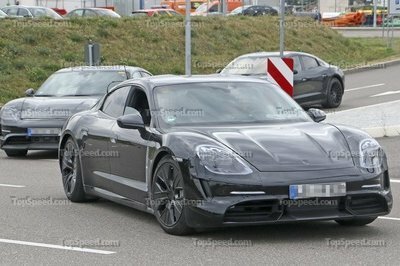 Outside, expect the Taycan to come with some very Panamera-esque styling, with the the final production version diverging a good deal from the aesthetic laid out by the previous Mission E concept. 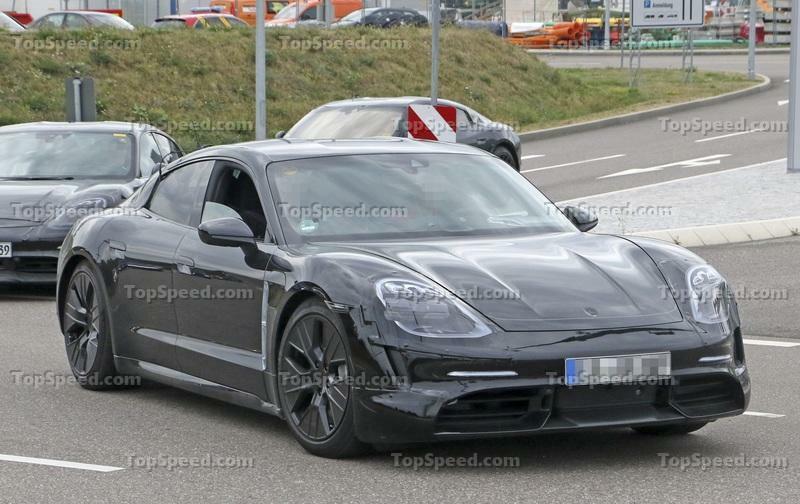 Look for the 2020 Porsche Taycan to launch this September. Porsche boasts that it already has “20,000 serious prospective buyers” with a down payment on the as-of-yet-unreleased sports sedan. Pricing will start at roughly $90,000 for the base model and $130,000 for the top-trim Turbo model. 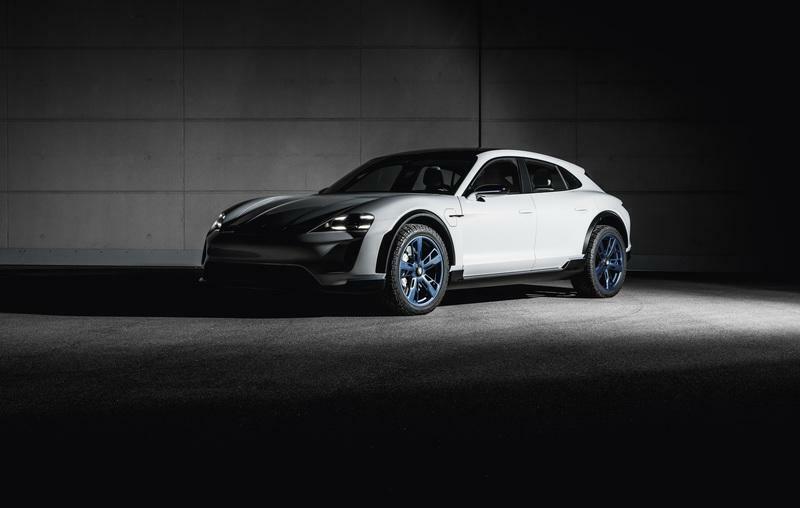 When it finally drops, the Taycan will compete directly with the Tesla Model S.
Read our full review on the 2020 Porsche Taycan CUV. 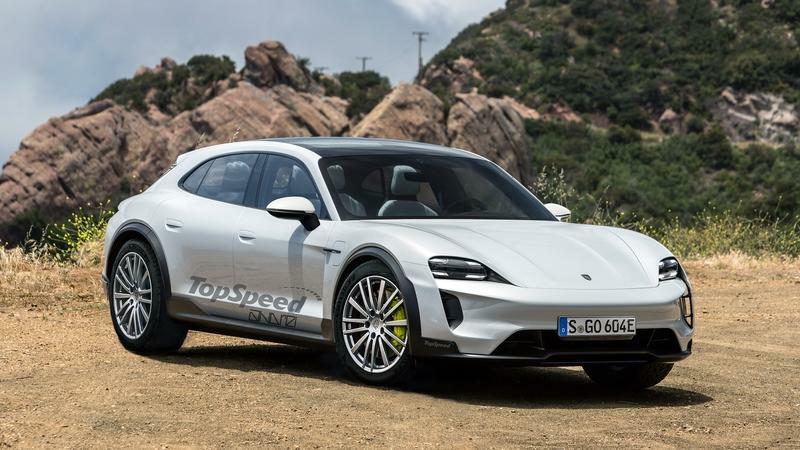 Read our full speculative review on the 2020 Porsche Taycan Sport Turismo. 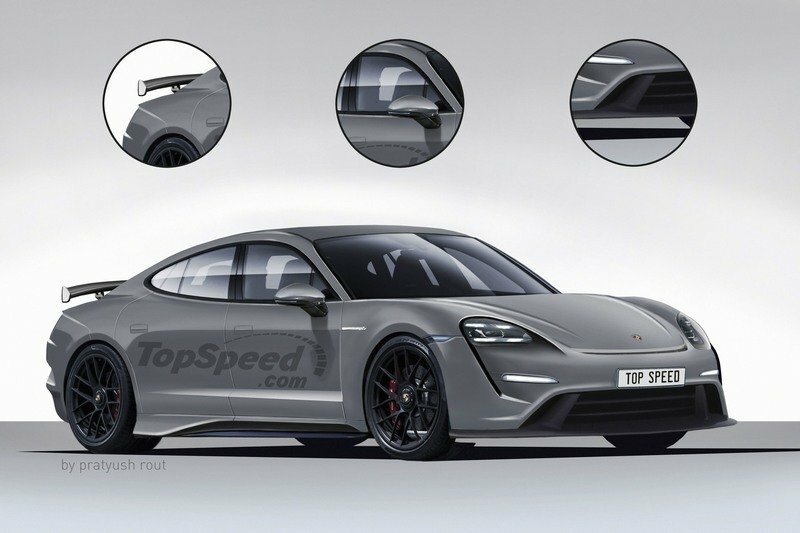 Read our full speculative review on the 2021 Porsche Taycan GTS.